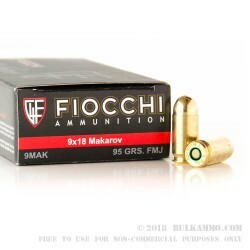 This accurate, clean-shooting ammunition from Fiocchi is an excellent range load for your Markarov pistol. Each box contains 50 rounds. 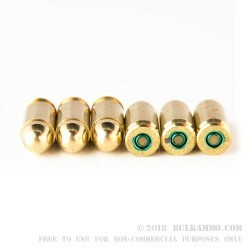 These cartridges fire a 95 grain full metal jacket bullet at a muzzle velocity of 1,020 feet per second. 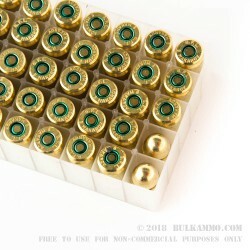 Unlike most 9x18mm ammo, these rounds are made using reloadable brass and non-corrosive Boxer primers. They are suitable for use at most indoor ranges. 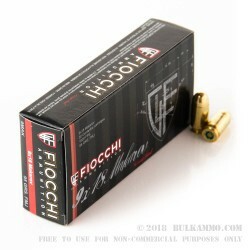 Fiocchi ammo is loaded in both the USA and Italy. Q: Is this ammo, re-loadable? A: Fiocchi rounds are brass-cased and reloadable. The 9mm Mak you were looking at would be a good choice if you like to collect brass and reload yourself for your next trip to the range.